Some ideas for my venture into photography, not sure where or how to start. There is so much information available, so many fantastic photographers. Where do I start, the camera, the shot, technical information? The story is told through the camera which is used to manipulate the elements, how they appear, setting the mood and effects while letting the viewer know what they need to focus on and controlling how they might feel. Maybe a theme: getting from A to B such as stuck in traffic, walking, driving, on a train, in transit, it is all so familiar. How do I choose? What do I choose? How do I make a photo, isolate something? What is the photo going to say? What do I want to say? How will the shot be composed? How will I frame it? What will be in the frame ? What is in focus? What is the exposure? Is it day or night? What is the depth of field? Will there be some motion blur? Maybe something abstract like I read in a magazine, hiding around corners, pressed against walls, peering down from bridges now this sounds interesting and exciting. Go out and have a go. What area of interest do you love to photograph? What ideas do you have for more fun when taking photographs? What event would you like to photograph? What is it about photography that is important to you? What qualities does photography bring out in you? What do you want in the world that is significant in your photography? What does when, why and how say about you and your photographs? Photographers have this innate talent for bringing shadows to life and telling a whole story in a single frame. Understanding Focal Length – usually represented in millimeters (mm), is the basic description of a photographic lens. It is not a measurement of the actual length of a lens, but a calculation of an optical distance from the point where light rays converge to form a sharp image of an object to the digital sensor or 35mm film at the focal plane in the camera. The focal length of a lens is determined when the lens is focused at infinity. The Focus Distance determines the area of the image that is in focus, areas in front or behind this area will be out of focus. F Stop describes the relationship between the diameter of the aperture and the focal length of the lens. Essentially, it is the amount of blurriness seen in the rendered image. The lower the value; the blurrier the area will be beyond the focus distance. Changing the focal length of the lens will affect the amount of blur as well. If you are happy with ta camera’s DOF settings but then change the focal length or angle of view, you probably need to reset the F Stop setting. Typically, values range from 2.18 to 12. If the camera shutter is open when there is movement then the movement shows up as a blur. Understanding the character of light and using it to develop your style. If you keep track of certain photographers work you will see a pattern in their approach which forms their style. Personally I love backlight and one of the beautiful characteristics of glass is the way it holds tone as it reflects light. Find a glass building (plenty of them in the city) use the light source (in this case – the sun) and put your point of interest (the building) between you and the light source. Take your first shot to see what the exposure looks like then experiment with over exposing or underexposing. Its that simple. I began to use this approach many years ago to keep a creative mindset. Using this technique I found if I could expand my options and reinvent what it was i was shooting. Using mood and composition you can repurpose your photos to represent these three aspects and inspire yourself. In the example below of the Iconic Opera House, you can see how Ive applied Realistic/Artistic/Abstract to create 3 very different pictures of the Opera House. This is useful technique for all photographers but especially useful for Travel Photography. This creative mindset prevents you from becoming bored with your photography. It’s almost 100 years since New South Wales police used glass-plate negatives to photograph suspects in custody. These negatives are a direct link to that moment in time, and provide evidence about photographic technology and methods in the 1920s. KABUL, Afghanistan — Soon after the attacks of Sept. 11, 2001, the United States military’s attention turned to Afghanistan, where Al Qaeda’s leaders were based. The world awaited an invasion that many knew was sure to come. Read about the festival first! Find out what we’re about and how the festival runs. We use a blind selection process and are generally looking for well-executed work with a unique voice in any genre of photography. During the selection process, we look at three things; your images, the exhibition description and how they work together as a cohesive body of work on a single theme. Note: group shows and retrospectives do not need to have an overarching theme. We understand that words may not come to you naturally, but it is important that you can provide us with the context required to grasp your work. The description and imagery must reflect each other, i.e. do your images communicate what you are saying in words? Spend a bit of extra time fine-tuning your exhibition description. Keep it clear and concise, do not describe what is already in the pictures and avoid too much ‘art-speak’. 3. Are you the best curator for your own work? Your photographs are the most important part of your submission. Your work may highlight a very important social cause but if your images or selection of images are not up to snuff you won’t get in. When you are choosing what work to submit run the images past people who approach photomedia with different perspectives – is the theme interesting? Do the images and words work together? This year we presented the wonderful work by finalists of the Head On Portrait Prize AND the Head On Landscape Prize at State Art Gallery of Hyderabad as part of the Indian Photogrpahy Festival. 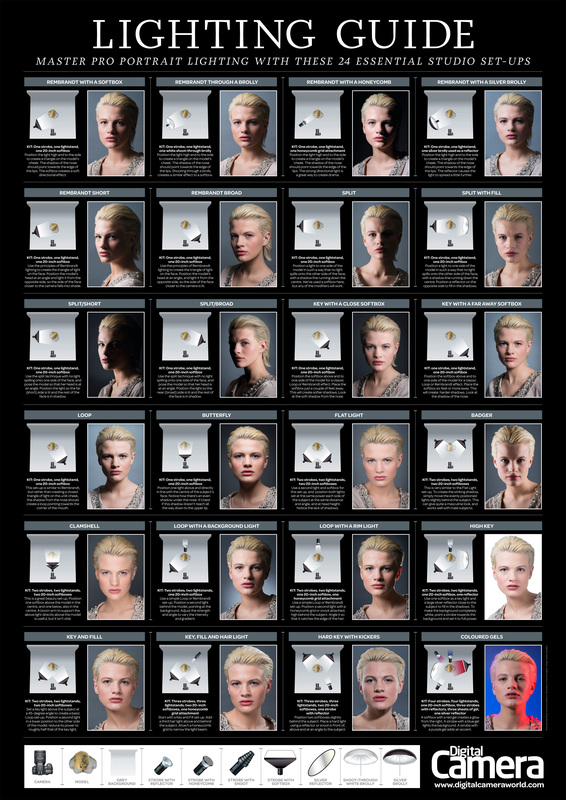 The Key to Portrait Photography is… to Test and Experiment. Over the years working as a professional photographer focused on people, I have learned that each time I take a photograph I learn something new and so can you! Each photograph gives me feedback and I am able to problem solve for a particular variable so as to refine the final outcome. So next time you set up for a portrait photography session be prepared to Test and Experiment so as to capture what you have in mind! Tachograph DOF By clifford harden. This app is only available on the App Store for iOS devices. Description: Depth of Field Calculator & Circle of Confusion Generator Great creative/informative tool for Cinematographers, Videographers, Photographers and the Enthusiast. 24 HOUR PROJECT Documenting Humanity to make a Difference, photographers share the human condition of their own city in one single day. The Aperture Club Sharon and her team of professional photographers are passionate about meeting people, travelling and of course photography. The Aperture Club runs photography workshops and tours that allow you to develop your creativity, with like-minded people. Our workshop are run around Chippendale, Newtown, Circular Quay and other well kept secret locations around Sydney. COLLEGE PHOTOGRAPHER of the YEAR CPOY’s greatest value is educational: it encourages photographers to sort through and evaluate their own work and assemble the best of it to show, both to peers and to the working professionals who donate their time to judge the contest. Adobe recently discovered three Tokyo=based artists who create unique and inspiring work with Adobe Creative cloud photography tools. I remember playing with a couple of the RED One cameras and dealing with the myriads of issues when that camera was still in its infancy. I also remember only having marginal success with sorting through such issues. Despite those challenges, it was obvious the camera represented a real game-changer for the industry. It’s part of that reason that when Jim Jannard announced that RED would be putting some of their latest camera tech into a smartphone to create a more mobile acquisition and delivery system, I was interested. I certainly wasn’t the only person that was anxious to learn more about the RED Hydrogen One (RH1) as soon as more details about it started to emerge. The Kúla Deeper stereo lens is attached to a camera lens thread for high quality stereoscopic 3D photography. Use existing lens features like VR, autofocus and metering. Compatible with Nikon, Canon, Sony, Sigma and the rest of the gang. Kúla Bebe 3D lens is attached to any smartphone with a simple clip. It comes with a paper stereoviewer for smartphones, the CinemaBox for viewing the 3D content right away. To make sure you have the fun you deserve, Kúla Bebe also comes with old school red/cyan anaglyph glasses. Kúla Bebe is in production and the limited first batch will be delivered autumn 2017. What mm lens was used in this shot? Directed by Sergio Leone. We seek out the world’s most extraordinary wildlife, landscape and cultural experiences bring small groups there in comfort, providing unique access away from the crowds with exclusive charter of ships, aircraft, vehicles and remote lodges for not only the most incredible, unhurried photography opportunities on Earth, but also an amazing holiday. Free Course Videos Complete course by award-winning Australian Geographic photographer Chris Bray. Ten easy-to-understand episodes with plenty of examples from basic setup and composition, to aperture, shutter speed, exposure, ISO, lighting, lenses, histograms, white balance and more! THE FOX DARKROOM & Gallery is a Melbourne darkroom for hire and exhibition space. It promotes and celebrates photography through hands-on workshops and by exhibiting work from emerging and established artists. HOW TO USE DIGITAL ART TO ENHANCE YOUR PHOTOGRAPHY – If I had to describe briefly my passion for photography, I’d discard the word passion because what I really feel about this art, is admiration. The condition that makes photography so unique is its ability to communicate. I am not talking about communicating facts, events, any of that; the kind of communication I’ve discovered seven years ago was the message of emotion, sensation and feeling. How to Turn your iPhone into a Professional Video Camera in One Easy Step Whoever said, “the best camera is the one you have with you” must have been talking about smart phones. Landscape Photography Tips: Take Your Nature Photography to the Next Level! What are some rare historical photos you wouldn’t believe exist? Landscape views are impressive, but focusing on the little things can really make you appreciate the beauty of nature. Head outdoors and make the most of wildflower season in NSW national parks. Right now it’s the perfect temperature for going on awildflower walk and with these macro (or extreme close-up) photography tips, you’ll brighten up your Insta feed as well as your mood. The 30 Most Amazing Photos Of Frozen Things You’ll Ever See If you live somewhere that gets really cold you know how far beneath your warmest jacket and scarf the chill factor can creep. When Mother Nature unleashes a cold front, she often freezes everything in her path, creating the most incredible scenes. As the coldest months of the year rapidly approach, here are some of the best photos of frozen things to get you in the mood for snow boots and shovels! Mountain Thaw Creates A River Of Ice This is what Narnia looked like before the return of Aslan. The original site is in Russian but if Google translate is at least partially right, this was a winter snow that started to melt and then flash froze into these surreal shapes. Every Moon Photo Shot by Apollo Astronauts is Now on Flickr. Want to browse the entire collection of photos captured on the moon by Apollo astronauts with their chest-mounted Hasselblad cameras? You can now do so right on Flickr. The Project Apollo Archive has uploaded over 8,400 high-resolution scans of photos shot by Apollo astronauts during trips to the moon. The images are unprocessed versions of original NASA scans. It’s a huge treasure trove of photos that includes both iconic images and blurry outtakes, all grouped into the film magazines they were exposed in. ‘BRINDABELLAS | edge of light’ features the sky and landscapes of the Canberra region of Australia – in particular the Brindabella Ranges – captured in monochromatic (near) infrared. This feature-length film (140+ minutes in total) focuses on the interplay of mountain light, air and water as these elements are transformed across the seasons – from clouds to mist, rain and snow – then frost and ice – and onto creeks and rivers. It explores both the wider montane vistas of the Brindabellas and the more intimate details of the natural flows that are created by these mountains and, in turn, shape the very landscapes they arise from. 40 Incredible Examples Of Infrared Photography Because everyday objects reflect infrared in proportions that differ sharply from that of visible light, the tonal relationships are wildly unexpected. Such near-infrared techniques used in photography give subjects an exotic, antique look. Green vegetation becomes white, whereas human skin becomes pale and ghostly. The resulting images look alien. Exploring Infrared Cinematography opens up a whole new spectrum of light not visible to the unaided eye. This has the potential to give otherwise ordinary scenes a surreal and dream-like appearance. In this article, we explore several of the unique applications and technical hurdles. How to Interpret Common False Color Images Though there are many possible combinations of wavelength bands, the Earth Observatory typically selects one of four combinations based on the event or feature we want to illustrate. For instance, floods are best viewed in shortwave infrared, near infrared, and green light because muddy water blends with brown land in a natural color image. Shortwave infrared light highlights the difference between clouds, ice, and snow, all of which are white in visible light. Mark Rogers is known for his innate ability to distil the essence of a story or character into a singular image. His portraits are defined by an ease and directness that balance intimacy with presence and feeling. It is this approach that has secured him over the past two decades work with prominent clients and a regular spot as a finalist in The Head On Portrait Prize, National Portrait Prize, Moran Photographic Prize and Olive Cotton Award. Mark recently took some time off the set of the upcoming movie ‘Peter Rabbit’ where he is working as the stills photographer to talk about his approach to portraiture and what it is like working on set. Jarrad Seng is a creative based in Western Australia who now travels around the world with musicians and taking pictures. He has worked with UK bands and artists such as Passenger and Ed Sheeran and his client list includes Converse, Qantas and many tourism agencies around the world. Jarrad is not your traditional landscape photographer and it is his unique approach that has won him an online fanbase of over 300,000 people. We asked Jarrad to share some words of wisdom with us on how he approaches photography, not the technical stuff but more on his attitude to photography. This is what he had to say. Ask yourself, what makes this photo interesting? If it were easy, everybody would do it. And has done it. “It’s cliche, but it’s true. If the image you’re capturing seems like a piece of cake, it probably means that thousands of other photographers have stood in the same spot and taken the same shot too. I mean, anyone can walk a few metres from the carpark to a viewing point, or follow a herd of tourists to the ‘classic’ spot. But how many are willing to hike up a mountain to gain a fresh angle? Or drive into the wilderness at midnight for the clearest night skies? Or hang out of an open plane window? The greater the risk and the greater the effort, the greater the reward. Of course, you also run the chance of not getting a shot at all, if you don’t play it safe. But that’s all part of the fun, isn’t it? Markus Andersen has a passion for revealing truths and creating unexpected narratives through photography. His focus is primarily documentary and conceptual bodies of work using both analog & digital camera formats. Markus has held solo and collaborative exhibitions in New York, Paris, Toronto, Istanbul, Sydney and the United Kingdom, and his work is represented in private and institutional collections around the world. Markus Andersen’s first book, Rage Against The Light, was released in late 2015 and a second book, Cabramatta: A moment in time, was released in early 2017 (both titles through T&G Publishing). You can see behind the scenes footage from his Cabramatta project in a recently released documentary (directed by Maria Tran) titled Cabramatta Into The Light. We asked Markus to share some tips and his thoughts on mobile photography and here is what he had to say. Exclusive to Nikon cameras, the NEF is Nikon’s RAW file format. RAW image files, sometimes referred to as digital negatives, contain all the image information captured by the camera’s sensor, along with the image’s metadata (the camera’s identification and its settings, the lens used and other information). The NEF file is written to the memory card in either an uncompressed or “lossless” compressed form. The primary benefit of writing images to the memory card in NEF format rather than TIFF or JPEG is that no in-camera processing for white balance, hue, tone and sharpening are applied to the NEF file; rather, those values are retained as instruction sets included in the file. You can change the instruction set as many times as you like without ever disturbing the original image’s RAW data. Another benefit of the NEF file is that depending on the camera, it retains 12-bit or 14-bit data, resulting in an image with a far greater tonal range than an eight-bit JPEG or TIFF file. After-capture processing of the NEF file by Nikon’s Capture NX2 software, or other imaging programs, offers greater control over the final image than the processing of a JPEG or a TIFF. After processing, the NEF file can be saved as a TIFF, JPEG or again as a NEF with the addition of any applied Capture NX2 processing saved inside the file as a second or alternate instruction set. As long as the original NEF file is preserved, the “digital negative” remains untouched; processing a NEF file does not alter the original instruction set. What are the differences between: RAW, NEF, Compressed-NEF, TIFF, and JPG file formats? Nikon calls images saved in the RAW format “NEF” files. Nikon RAW NEF files can be edited in Nikon View Editor, PictureProject, Nikon Capture Editor and Nikon Adobe Photoshop plug-in. This unique format consists of the RAW data of an image, along with an instruction set that provides extensive image editing capability not available with other file formats. With a NEF file, the original RAW data of an image is never changed. All corrections and adjustments that you make are preserved in the file’s instruction set. You can change the instruction set as many times as you like without ever disturbing the original image’s RAW data. Using the software listed above you can change the shooting White Balance, adjust Exposure Compensation as well as basic color, sharpening and levels controls. Current Nikon DSLR cameras, including the D3-series, D2-series, D700, D300(S), D200, D100, D7000, D5000, D3100, D3000, D90, D80, D70s, D70, D60, D50, D40X, D40, all support the NEF RAW file format. All future Nikon Digital SLR cameras will support the NEF RAW file, and some Coolpix cameras will as well. Many users think of their NEF files as their original digital “negative” which they then make changes to and save the changed files as TIFF (or JPEG) for printing. HEAD ON for Portrait, Landscape, Mobile and Student photography. LENS CULTURE EXPOSURE AWARDS The LensCulture Exposure Awards 2017 aim to discover and showcase the world’s best contemporary photographers — including all genres of photography, and from diverse cultures on every continent. Now in its 8th year, the competition will help photographers of all levels gain global recognition and move forward creatively and professionally. Our international jury will select six top winners as well as eight jurors’ picks, 25 finalists and five student spotlights. DIGITAL PORTRAITURE AWARD = National Portrait Gallery The winner receives $10,000 and a residency at The Edge, the State Library of Queensland’s digital culture centre for experimentation in science, art, technology and enterprise. Finalists’ work will be exhibited at the National Portrait Gallery and online. OBSERVERS free events coming up WE ARE OBSERVERS run three types of free events, weekly Summer Socials, exploration around Sydney’s Foreshore, monthly See.Saw talk, an open discussion with inspiring photographers talking about their work, and special Access All Areas events. Long, B., 2015. Complete digital photography, 8th ed. ed. Cengage Learning PTR, Boston, Mass. Matt Moyer http://www.mattmoyer.com Matt Moyer is a photographer and filmmaker committed to documenting the social and cultural issues that affect our world. Tbilisi – has a thriving photographic scene. Amy Toensing http://www.amytoensing.com An American photojournalist committed to telling stories with sensitivity and depth, is known for her intimate essays about the lives of ordinary people.